Academy of Pastry Arts Malaysia is an international pastry school in Petaling Jaya, Malaysia. With one of the best pastry chef faculties and hands-on programmes, it is a great learning centre covering Asia Pacific & Middle East. It is a school for students as well as for pastry professionals and operates on a very simple guideline - "Let the best Pastry chef teach the younger generation". 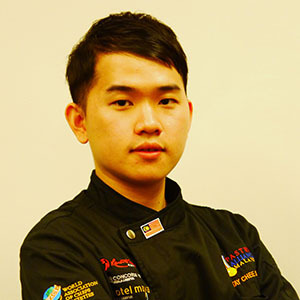 Chef Tay Chee Siang, also known as Otoman, is a young and dynamic chef. A winner of Asia Pastry Champion 2014 and also the Team Captain of the National Team which got 4th position in the World Pastry Cup 2015 in France. He won the "Most Outstanding Young Pastry Chef of the Year Award" in 2013. He will be taking you through Chocolate Bon Bon and Candy Making on the 18th of April at the Pastry Arts of Malaysia Hands-On Workshop. Frank Haasnoot crowned World Chocolate Masters 2011 also won the award for the best showpiece and dessert. His showpiece named "Warrior", entirely sculpted out of chocolate shows an Aztec warrior in the quest of cacao in the jungle. This breathtaking showpiece entirely created during the competition, is perfectly balanced, a great achievement that only the best chocolatiers can achieve. His winning dessert named, "Xococo", contained the most delicate flavors with a remarkable blend and taste of long lived Aztec ingredients; coconut, passionate fruit, manage and of course chocolate! 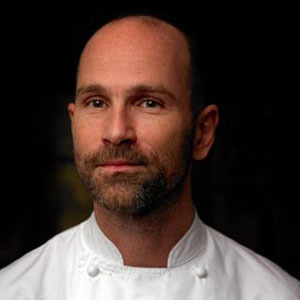 After Frank Haasnoot graduated from ‘Specialism in Pastry Arts’ in Amsterdam, he started his career in 2001 as a pastry chef at La Tulipe Desserts in New York. He previously worked at several pastry shops, restaurants and hotels. Since 2006 he is a member of ‘The Dutch Pastry Team’ and in 2007 he won the Dutch Chocolate Masters for the first time and represented the Netherlands at the World Chocolate Masters in Paris where he gained fourth place. 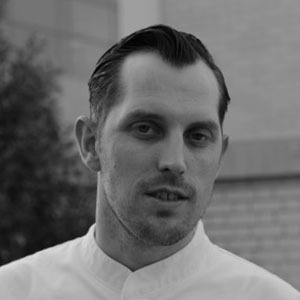 Frank Haasnoot currently works as an Executive Pastry Chef at Dobla. Martin Lippo is a new age culinary consultant trainer based in Barcelona, Spain. His specialization is in new cooking techniques and technology, such as the application of liquid nitrogen in the kitchen, molecular cuisine, vacuum pack cooking (sous vide), espumas, soda and siphon work, etc. As director for R&D for 100%Chef, a company fabricating and distributing innovative cook’s tools and equipment, he is very much immersed in the exciting world of cutting edge kitchen technology to help cuisine professionals achieve new goals.